With so many different forums on the NaNoWriMo site it’s sometimes hard to know where to find what you need. Here is a breakdown of the main forums with a brief description. You can customize your forums and subscribe to posts from the ones in which you’re most interested. Before posting to a thread, read the first message from the moderator… each forum has its own expectations. This is the forum to visit if you have questions or problems with plotting, characterization, and research. If you’re an expert in an area, and you would like to share your knowledge, here’s the place to let your light shine. Come here to toot your own horn, celebrate others’ successes, and commiserate with novelists in distress. 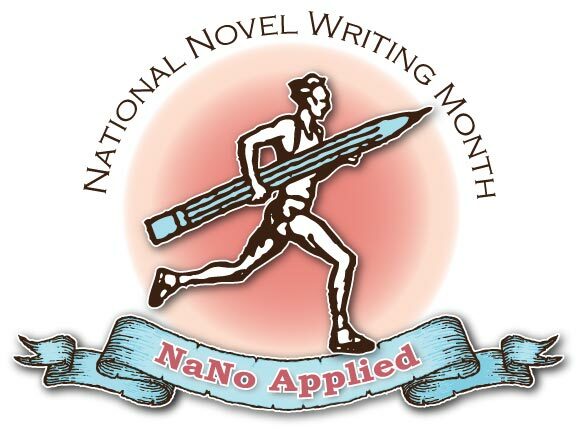 Come here to read all about the rules, regulations, and administravia of NaNoWriMo. This corner of the NaNoWriMo site helps you find resources, writing answers, and the perfect music for your writing pleasure. Check in with other writers in your genre for advice, encouragement, and conversation. These groups are organized by age, interest, and NaNo experience. Get to know other writers like yourself. Here is where you’ll find all the miscellaneous fun and games that don’t fit into the other forum categories. It’s the place to visit if you have the procrastination bug. Find out who in the world is NaNoing near you and if they’re having any meetups. This directory lists world locations in alphabetical order, from Africa to Wyoming. This program has it’s own website and is designed for students in elementary through high school who want to write a NaNoNovel. It can done collaboratively as a class or individually. The site offers support and workbooks for teachers, parents, and students. Here is where to pick up your NaNo flair. “Are you NaNoing this November?” read a message I received from an online friend. Over the years, NaNo has morphed from a mere acronym to a noun, and now to a verb. If you NaNo, you’re part of a growing group of writers. NaNoWriMo, short for National Novel Writing Month, has become an international phenomenon since Chris Baty first began the program in 1999. This year, more 100,000 people; office workers, gardeners, students, and “Joe Six Packs” from around the world will be joining again, in the hopes of creating a novel the likes of which has never been seen before. Some of the same people come back year after year to take part in the fun and frenzy. The exhilaration and exuberance are addictive. Write 50,000 words of a novel in 30 days. Each November, in the cold days before the winter solstice. Pride in your accomplishment. The ability to add "novelist" to your résumé. A chic jpeg image to place on your blog or website. If you do a knockout job, perhaps a book contract. Does the whole concept of writing 50,000 words of a novel in one month sound daunting? It needn’t be. With a focused plan, you can pump out a novel and boost your writing skills. Breaking the project into smaller chunks, it works out to writing 1,667 words per day. Some people even break it down to how many words per hour they need to write. By breaking it into daily or hourly pieces, it makes the task seem manageable and attainable. About 15% of the novelists declare themselves winners by reaching the goal. Some of them go on to write even more during NaNoWriMo. This is all on the honor system, since writers submit their own word counts. For some of the winners, the writing is an exercise in creativity. For others, it’s merely putting 50,000 words of drivel onto a computer screen. For more than a few authors, it has turned into seeing their novels published by major houses. The NaNoWriMo website celebrates these authors by listing their books on the Published Wrimos page. During my first NaNoWriMo, I wrote my first novel, Gold Rush Girl, about a young girl living on her own during the California Gold Rush. She dreams of becoming a doctor, but first, she must beat the odds of being a woman alone in a new frontier. That novel was published in 2014. During my second NaNoWriMo, I wrote The House of Chimes, a middle-grade novel about a boy who thinks his next-door neighbor is a mass murderer. He has to challenge his fear and make a big decision between right and wrong when he finds out things are not what they seem. I’ve found that NaNoWriMo is an effective way to jump-start a novel. I do it with a plan that practically guarantees success. 1. Before November rolls around, choose a plot and theme for your story. There are as many ways to do this as there are writers. The important thing is to pick something that resonates with you. Pick something to write that you would like to read. 2. Get to know your characters. Write everything you can about them: their likes and dislikes, their family histories, their physical appearance, hobbies, loves. Good novels depend on remarkable characters and plots. 3. Outline your novel. Make a plan for the plot points and turning points. There isn’t time to wait for the muse to grace you with her inspiration during this short month. With all the major events of your novel mapped out, you’ll be able to write non-stop, whether your muse has stopped by your place for a visit, or has decided to cavort elsewhere. If you hit a roadblock in one part of your novel, you can look at your plan and find another part to write. Your muse will thank you for making her job so much easier. 4. I go as far as making a one or two sentence description of every scene in my novel. Once I have the major plot points defined, it’s a simple task to make bullet points that let me know what will happen between one event and the next. 5. On November 1, dive right in and begin writing. With your plan in hand, you can write for a few minutes or a few hours at a time, depending on your schedule. If you write one or two scenes per day, you’ll stay on top of the goal of 1,667 words daily. 6. Don’t edit. Don’t revise. Just write. Write often. Write more. 7. Repeat steps five and six each day until midnight, November 30. One more note about planning: If you’re in charge of meals at your house, buy a month’s worth of frozen dinners. You won’t be doing much cooking. Or laundry, for that matter. You might want to make friends with your local drycleaner. Books: Chris Baty, the founder of NaNoWriMo, is the author of No Plot? No Problem! It's his own personal guide to getting your writing down on paper, not just during November, but anytime of the year. Karen Weisner has written two books, First Draft in Thirty Days and From First Draft to Finished Novel to help writers organize their writing and their careers. She is a prolific author who has written over 50 published books and teaches writing classes online. Her books have won over 73 awards. Widgets: The NaNoWriMo site has word counter widgets to help you track your growing word count. Other writers freely offer Excel spreadsheets for you to use. You can make your own simple table for tracking your progress. You can even find tracking programs to record your word count for the day and send you messages to let you know how far ahead (or behind) you are in your progress. Doing a quick search will turn up many NaNoWriMo tools you can download free. Forums: In addition to writing 50,000 words of a novel, you’ll find online friends who are as crazy about words as you. There are forums for every writing interest, and new ones appear each year. There are technique forums, genre forums, forums for general writing questions, forums for age groups, game forums, and even forums for off-topics. The site also hosts a blog, a chat room, and videos submitted by other participants. Meetings: Meet-ups and parties allow writers in geographical proximity to get together in person for celebration, commiseration, and chowing on tasty treats. Two popular events are the kick-off parties on Halloween night and the grand finale parties. Some groups have weekly get-togethers at coffee houses or restaurants to write and talk. You can check the forums for your area to find meeting dates and times. Buddies: You can certainly procrastinate and spend far too much time NaNoMailing your buddies, visiting the forums, and partying with other writers, but these people also help give you the support you need to keep going. My first NaNoBuddy and I have worked side by side, metaphorically speaking, for the past three years. Each year, we look forward to renewing our writing friendship and giving each other the encouragement we need to keep those words flowing. Games: Some of my best writing tricks came from NaNoWriMo forums or from other participants. Word Wars are a great way to boost word count and get your fingers hopping over the keyboard. Several writers get together and set a start time and end time, perhaps 15 minutes long. Then they have a contest to see who can write the most words in that time. Word Wars can be played against a small group of opponents, or region against region. Of course, the quality of your writing in those 15 minutes may not be the best, but that's why you edit and revise. There are also word games and writing games designed to give you a break from the stress of creating a story out of thin air. They’re also a great way to procrastinate for hours, so be warned. Time goes into a drain in the game rooms. You’ll receive twice-weekly messages from NaNoWriMo to help you keep the creative fires burning as the nights grow longer and your fingers grow colder. They come from well-known guest authors across several genres, and they serve to motivate you and keep you going through the mid-month slump. This year’s guests include Andy Weir, Min Jin Lee, Justina Ireland, and Francesca Lia Block, among others. You can also check out the Pep Talk Archive and view pepe talks from folks like N. K. Jemisin, Rainbow Rowell, John Green, Neil Gaiman, Roxane Gay, Lois Lowry, Jason Reynolds, and Dean Koontz. In the beginning of the month, the messages will get you pumped up and primed to start writing with power. In the middle of the month, they become more uplifting and keep you on track. As you approach the home stretch, you’ll receive messages cheering you on, helping you reach for the finish line. All of the messages are witty and insightful, and they seem to arrive just when you need those words of encouragement the most. If you decide to NaNo this year, know that it will be as grueling as a marathon, and equally rewarding. It’s not for the fainthearted. If you make it a priority and focus on your goal, you'll be one of the 15% that are successful. Once you’ve crossed the finish line, you can honestly and proudly tell people you’re a novelist. Suzanne Pitner (aka Suzanne Lilly) is a writer and an elementary school teacher. Her work has appeared in numerous places online and in print, and she has placed and received honorable mentions in online writing contests, as listed on the Writing Credits page. She has a Master’s Degree in Teaching and is a graduate of the Long Ridge Writer’s Group. Suzanne Lilly writes sweet romantic suspense for young adults. Her debut novel, Shades of the Future was published in July 2012 by Turquoise Morning Press, followed by Untellable in February 2013. A Thousand Little Secrets, released in August 2013. Gold Rush Girl, Book One of The California Argonauts, released in February 2014. You can find out more about her by visiting her website at SuzanneLilly.com. Copyright © 2007 (updated 2018)wow-womenonwriting.com All rights reserved.